We love the philosophy of Springfield’s most successful blog, A Beautiful Mess. In the ideas they share you can find an acceptance of the chaos life throws our way and its always met with a pensive smile and clever way to brighten your surroundings. Their thoughtful approach to the little things in life is apparent in every project that ends up on their web site. This tutorial from staff writer Rachel Denbow is a great way to add some hygge influence to your space without spending too much on designer pillows. 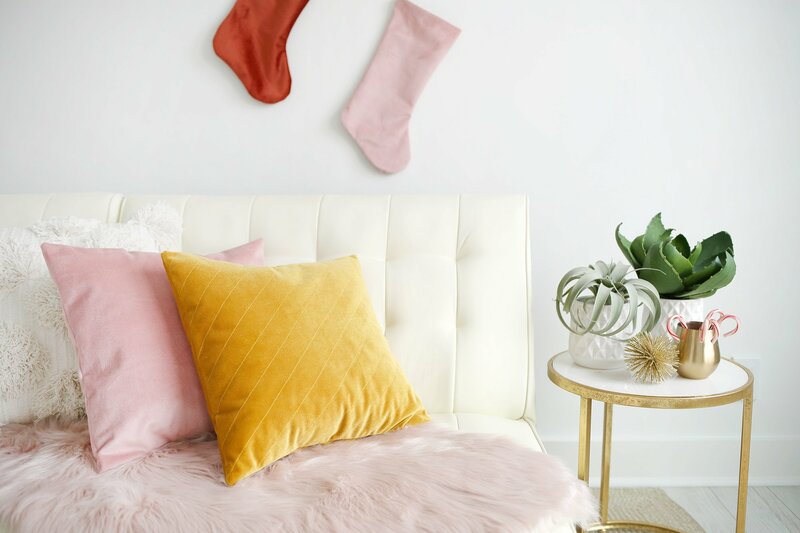 To make these super-soft velvet pillows, all you need is a little bit of fabric, some coverless pillows and the ability to sew a straight line. Denbow also suggests several ways you can make these your own with different patterns. It’s an easy way to add some Danish conviviality to your furniture! The idea making a space “faux living” is to add plenty of greenery to give the effect of a natural vine look without the maintenance of a growing plant. 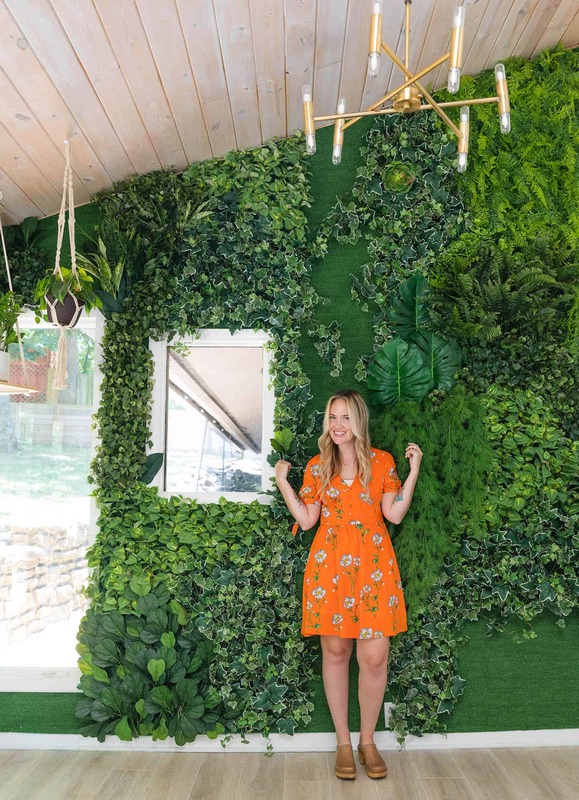 Co-founder Emma Chapman dazzled ABM fans with this striking tutorial on how to create a faux living wall. She covered the 90 square foot wall in astroturf first, then placed faux plants strategically up and down the wall of her office. It’s super cool to see the process in true ABM step-by-step fashion. Don’t have a wall that’s right for a faux living look? How about something a little smaller? In this how-to Kara Whitten shares how she transformed a simple IKEA coffee table into a living coffee table in just four easy steps. This one is perfect for parents of young kids or people with new pets. With these sweet little mess makers in your life, your rugs may be sent to a premature retirement. Laura Gummerman takes you through the process of creating a washable rug that is perfect for open spaces in an office or bedroom. We can almost feel the freedom of not having to sweat every spill already! One of the most prominent ABM projects of 2018, co-founder Elsie Larson unveils how she created this masterful use of color in her own home. Larson says a project like this is a lesson in patience. 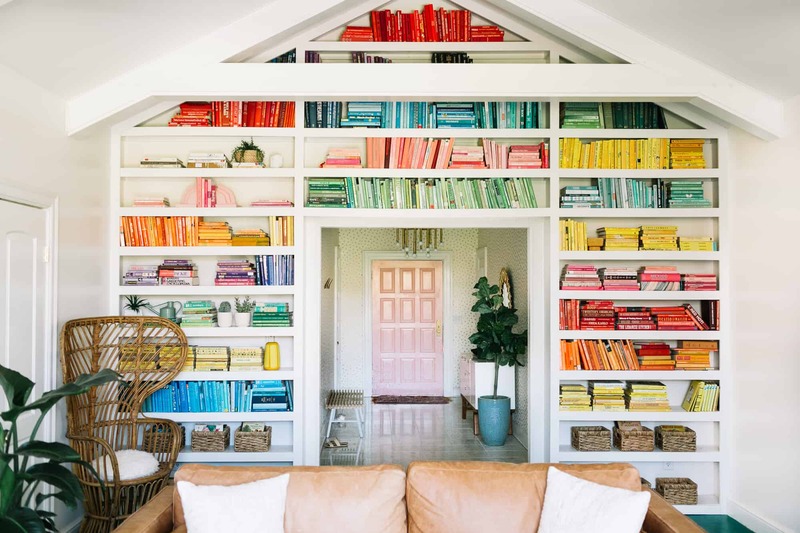 She didn’t want to use books she and her family had no interest in, so she took a long time acquiring books that fit the color scheme at local thrift stores. If you plan on making a similar choice in your home, we recommend the regularly held Library Sale at Ozark Empire Fairgrounds if your schedule allows it. There are thousands of books to choose from in every color and on every topic! You’re sure to find some stuff that looks great and make good page turners! 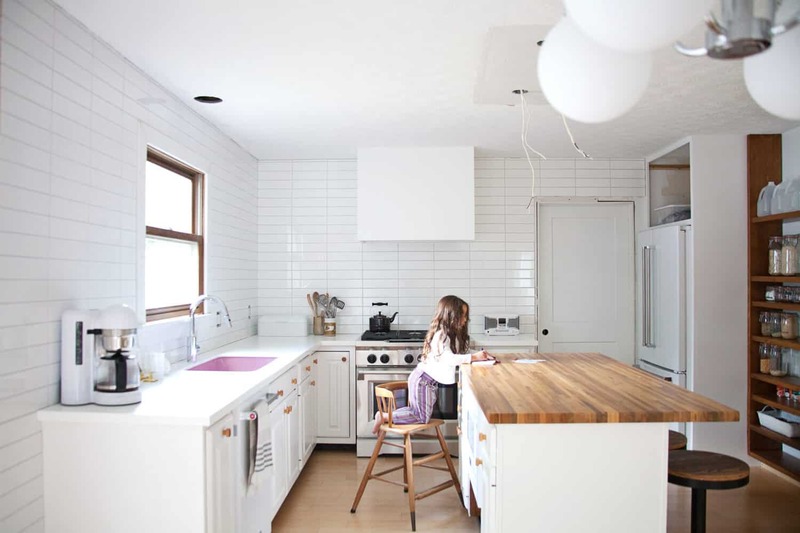 Designer and staff writer Mandi Johnson says she had always loved the statement hood vents made in a kitchen and couldn’t wait to have one of her own. She purchased and installed one in her home, but the time came for a remodel of her kitchen and the stainless steel hood she chose just didn’t jive with her vision for her new kitchen. So she built a frame around the existing hood to keep it’s utility and give it a stunning modern look in her brand new kitchen. As always, the steps are easy to follow and understand. 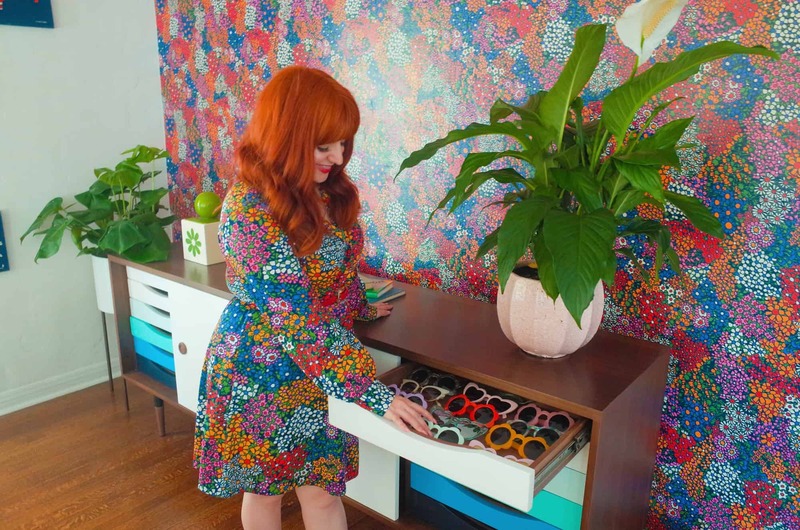 Larson and her friend Sam Klein of Shop Whurl reveal how to turn your favorite pattern into a completely personalized wallpaper for that statement wall in your home. Klein says she wanted to personalize every room in her house and a custom wallpaper was just the thing she needed in her dining room. They’ve got you covered on all the things you need to know if you want to follow in their footsteps. There’s nothing wrong with a off the shelf dresser from your favorite furniture store, but if you really want to make something unique, you can add a little of your own personality without spending a ton of time and money. 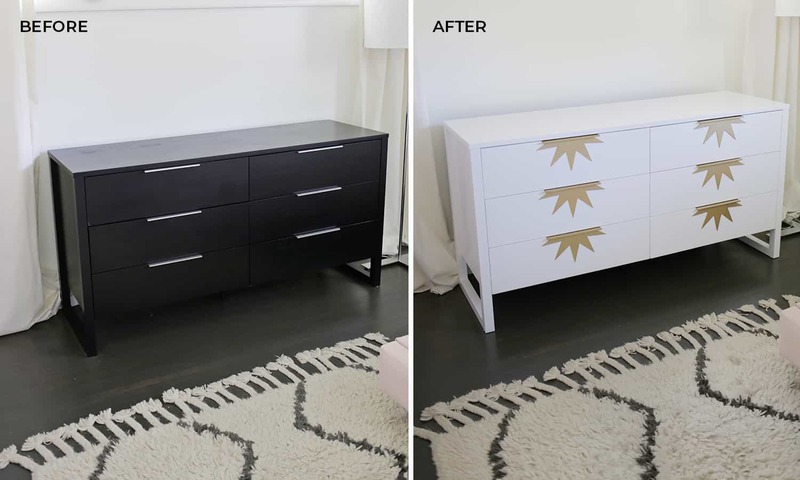 In this speedy DIY, Laura Gummerman shows how she transformed this 6-drawer dresser into a more memorable one in (count ’em) three steps. We love it when they make it easy! If you aren’t a follower of the folks over at A Beautiful Mess yet, we highly recommend it! It’s nice to see a company from Springfield doing such big things, plus they have some incredible insights on way more than just DIY home decor. You can always check out their site at abeautifulmess.com and it’s easy to find them on your favorite social medias!